Split, Dubrovnik, Zadar and Hvar are destinations that you must visit in 2012 according to the recommendations by The New York Times, Financial Times and others. Croatia is once again ranked first on the top lists ranked first on the top lists thanks to it's historical heritage and natural beauty. The Financial Times selected Diocletian's palace in Split as one of the most-wanted places to live in amongst 182 sites that are part of UNESCO's list of World Heritage. Diocletian's palace is #1 on the top lists thanks to the 1700 year long history of this urban, cultural and social center of Split ahead of picturesque Venice, Brugge, Havana and Marrakech. Hvar is one of the 10 places in the World that you must visit in 2012, according to Lonely Planet. All day entertainment in the old town and the possibility of escaping to the nature and swimming along the Infernal islands contributed to this high ranking of Hvar as well as its sacred and profane objects, scents of lavander fields and pituresques sea views. Zadar was listed as one of the most romantic cities in the world by National Geographic because of its kilometer long beaches, roman architecture and modern nightlife. The New York Times renamed the Adriatic pearl Dubrovnik to ''St. Tropez of the Balkan''. The marble streets, Renaissance fountains and sandy beaches put Dubrovnik on the list of places to visit. 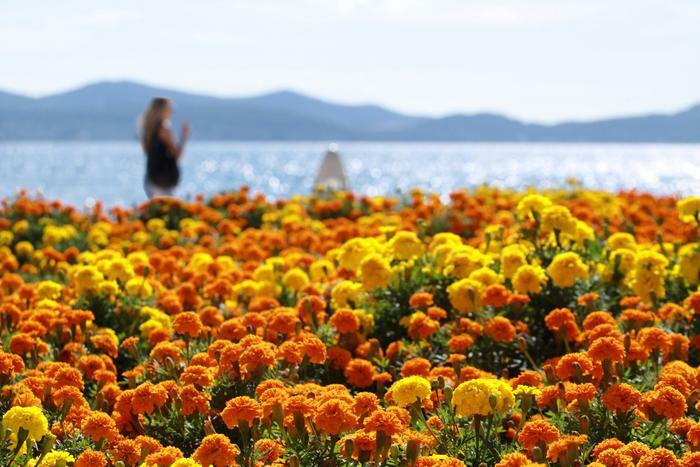 These are only a few places on the Adriatic coast that are recommended by world media, our Croatia guide will help you find the destination for your Summer holidays in 2012.